I'm kind of addicted to the things. Click HERE to see my three favorite maxi skirts right now. P.S. For those who have mentioned that you don't think you can wear maxi skirts because you're on the shorter side ... I'm not an expert, but I think you'd probably look smashing in them. I'm only 5'3. oooh another installment of how you wear things! and how dorky is it that i love how you edit those three images for this post? haa, i just think it looks too cool. can't wait to hop over and see the article! I adore this post! It's gorgeous and so artsy. Maxi skirts make my world go round. I even dedicated my own version of a song in their honor last week over on my blog. So much looove. Methinks I need that pink one. Is it kind of sheer though or just the right thickness? Love this! Awesome outfits, Sydney! You are too cute. love the bottom one! gorgeous. Yay! I love these posts! And our sunglasses! Need! SO LOVING maxi skirts, their So comfy! Loved the post! You look amazing in those skirts! I'm five foot, and thought I could never wear a maxi, but I did yesterday and absolutely loved it! I didn't think I looked too bad in it either. I think I could wear one every single day. maxis can be tough if they're not maxi enough I think! Know what I mean? I guess if you're 5ft3 you might get to avoid that prob. I'm wearing a 'maxi' dress today but it was about 4 inches off the ground so I'm wearing it low as a skirt instead. Love Maxi's! I need more! anch'io le adoro! i love it! un bacio e passa a trovarci! I'm obsessed with maxi skirts in bright colors for the season. You can pair it with a simple shell and a fitted blazer and heels for evening wear. I just picked up a fuchsia one from BCBG MaxAzria, and I love it. See how I style it here! Maxi's are my go-to since I am pregnant, thanks goodness there are so many cute stylings for them! You rock maxis girl! I'm with you every girl can wear maxis, is all about proportions and balance, I adore your grey skirt and vibrant orange combo! The last skirt looks drop dead gorgeous! I love maxis. I have a hot pink chiffon one that I'm DYING to wear (used to be a dress, had it forever), but even the lining is way too see-through. I'll have to improvise. I'm so glad maxi skirts and dresses are in - a welcome alternative to showing way too much skin! i am loving the pink one. gorgeous! i love the look of the maxi...but was scared, but you've given me courage...love all the fashion posts...they don't feel quite so out of reach compared to other blogs/magazines, etc. thank for being accessible and encouraging! I love maxi anything!!! They are always on the long side (I'm 5'3 also) but I always wear at least 4in heels ;) Off to look at your picks now! Love your style & the skirts! I am working on sporting a maxi dress & skirt this summer. 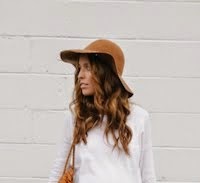 I am 5'5 so I was not sure--but my real question is I am wider in the hips & was not sure if that would be unflattering on my body type..any advice for what to wear with a maxi skirt--top wise? I feel like I wear one everyday. Love your looks! Love warm weather maxis. I am in search of a good maxi dress. girlfriend, no one can pull of a maxi like you. just sayin. I'm 5'4 and I absolutely love them! I love your simple hair styles! I wish I could pull off a bun like that. Love, love, love, love, LOVE the orange shirt!! right now I am a super maxi fan! Perfect for the harsh Phoenix sun! Covered up yet cool. Love, love, love!! I need cute, modest looks for summer. Keep them coming! BTW, I can't believe you are 5'3. You seem so much taller than that! I absolutely adore maxi skirts! I could positively live in them every day of my life. I have to agree that they're great at any height. I used to think I couldn't wear them because I was too tall and didn't want them to look high waterish, but it's not a problem. Love love love them! I have 2 maxi dresses and love them dearly! You can never have enough Maxis also I cannot believe you are only 5'3 you look way taller than that! Gorgeous! Maxi skirts actually make those on the shorter side look taller. Stop being so cute. It's not far to the rest of the world. For one, you look amazing (as always) and it's totally hilarious to me that shorter girls claim they can't pull off maxi skirts because maxi skirts are perfect for giving the illusion of being tall which is why I don't wear them. I'm already 5'11 so I look like insane monster woman everytime I try one on. So count your blessings shorter girls and dawn a maxi skirt! I am 5.3" too, but just one question...over 25 week baby bump or under? You are alway so adorable, I know you will know best. What about if you're on the TALL side and you feel as though they may not reach the floor. Is that awkward? If you say so! :) I'm not that tall as well, and you gave me great inspiration, thanks Sid! thanks for the tip about shorties and maxi skirts! i'm 5'2 and have been staying away from the trend, but i may try it now!!! Great styling, the maxi skirt is so simple and versatile. YESSSS you totally pulled off the neon orange shirt. And it looks perfect, of course. LOVE this post. Probably because I live in maxis. Thanks for doing yet another wonderful post on them. i'm 5'4", on a GOOD day, and i LIVE in maxi skirts/dresses.. grown up pajamas, in my opinion... only more.. princess-y..? yup, i think that's the explanation i'm sticking with! love the three pairings. my favorite has to be the 2nd! just gorg! oh gosh, the first and last looks are my absolutely favorites! you are more than precious, girl! Hi! I'm portuguese and i read your blog since the last month. I was so excited when i saw that you are mormon. I'm mormon to. I love your modesty looks. I have a lifestyke blog to. Please sse in http://simplethingsvs.blogspot.pt/. I love all these looks. But seriously summer? They look way too hot for summer. Spring maybe. I love maxis. So much. I personally find styling them for winter way harder than styling them for summer, though. LOVE the maxi skirt. Such a coincidence that you posted about this today- just yesterday I picked up my very first maxi skirt. It's black and white striped! Thanks for giving me a few new top ideas! I just discovered your blog last week and have already linked you twice. yes! perfect post. just what i needed! Love me a good maxi, but at 5'4, it seems like EVERY single skirt I try on has at least three feet of extra fabric. How do you do it? Where are the maxi for people who are less than 6 feet tall??? Do you hem them? ps. when is awkward and awesome coming back? i love those. LOVE your style! Would love to have you do a guest blogger post on our style blog. What gorgeous colors! And yes I think maxi skirts can work on anyone if done right, which is what you did! Btw, your baby is just the cutest. I LOVE that bright orange and grey combo! Great post, I have so many maxi skirts in my wardrobe, I'm always waiting for someone to tell me to stop wearing them!!!! You're so right! I've also written about how short women can wear maxi skirts and you were one of the perfect examples that I've gave. You always look gorgeous on maxi skirts! oh gosh the sunglasses *-* ! Oh! Maxi skirts are awesome I love them so! I saw this on pinterest and thought it was you. I love Maxi dresses/skirts. I live in them. I copied your denim top maxi skirt bottom today! So comfy. I looove your style! You're such a cutie! I loved the pink one so much I went online and bought it from Windsor, but I had to return it. I don't know how you are rocking your because mine was so transparent I couldn't wear it! You could literally see right though! :( Ohwell I am going to try again at another store where I can see the skirt on me first.